Cuban dancers. The heat is on as two vintage latin dancers take it to the mat. 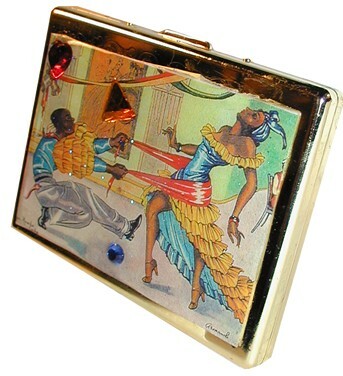 Vibrant, colorful scene is on a gold finish wallet case which is perfecto for carrying business cards, cigs, money, condoms, etc.